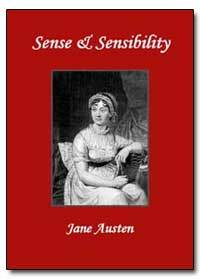 Excerpt: Chapter 1; THE family of Dashwood had been long settled in Sussex. Their estate was large, and their residence was at Norland Park, in the centre of their property, where, for many generations, they had lived in so respectable a manner, as to engage the general good opinion of their surrounding acquaintance. The late owner of this estate was a single man, who lived to a very advanced age, and who for many years of his life, had a constant companion and housekeeper in his sister. But her death, which happened ten years before his own, produced a great alteration in his home; for to supply her loss, he invited and received into his house the family of his nephew Mr. Henry Dashwood, the legal inheritor of the Norland estate, and the person to whom he intended to bequeath it. In the society of his nephew and niece, and their children, the old Gentleman?s days were comfortably spent. His attachment to them all increased. The constant attention of Mr. and Mrs. Henry Dashwood to his wishes, which proceeded not merely from interest, but from goodness of heart, gave him every degree of solid comfort which his age could receive; and the cheerfulness of the children added a relish to his existence. By a former marriage, Mr. Henry Dashwood had one son: by his present lady, three daughters. The son, a steady respectable young man, was amply provided for by the fortune of his mother, which had been large, and half of which devolved on him on his coming of age. By his own marriage, likewise, which happened soon afterwards, he added to his wealth. To him therefore the succession to the Norland estate was not so really important as to his sisters; for their fortune, independent of what might arise to them from their father?s inheriting that property, could be but small. Their mother had nothing, and their father only seven thousand pounds in his own disposal; for the remaining moiety of his first wife?s fortune was also secured to her child, and he had only a life interest in it.